On Wednesday’s Mark Levin show, Mark should finally be vindicated for saying 2 years ago that the FBI had been spying on the Trump campaign. You may recall the NY Times headline from March 5, 2017 – “A Conspiracy Theory’s Journey From Talk Radio to Trump’s Twitter.” They had a change of thinking today with this headline – “‘Spying Did Occur’ on Trump Campaign.” We have Attorney General William Barr who will uphold the constitution. He wants to look into spying on the Trump campaign and the FISA applications. 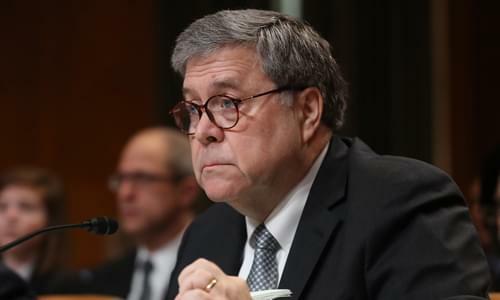 Now the media and Democrats are trying to parse what he said and will attack Barr. You’ll find out in “Unfreedom of the press” that there’s a history of Democrats spying at the FBI. Also, the Israeli election was incredible. The reason Benjamin Netanyahu can put together his coalition is because conservatives far outnumbered the left. The left in America are very angry saying that we will never have peace with Netanyahu in power again. Finally, how come we don’t hear phrase manifested crisis on the border anymore? Maybe it’s because March statistics show that we have a system wide emergency at the border.